Just when I thought everyday things couldn’t get much greener I’m equally astounded and delighted that something as simple as the humble coat hanger can get a green makeover! 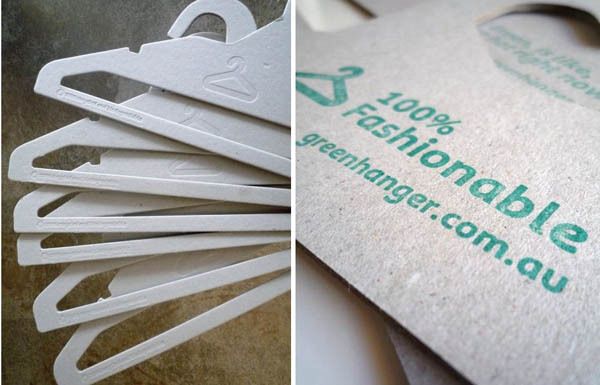 Our wardrobes are full of plastic and wire hangers and I’d happily exchange them all for these fantastic 100 per cent recycled and recyclable cardboard coat hangers from Green Hanger. Australian designed and made, these environmentally friendly coat hangers can hold more than two kilograms of weight and are available for both kids and adults. The kids version of the coat hanger comes in packs of ten, forty, or a box of two hundred (for serious hanging) and have a very cute flowers, bears and bunnies embossed design. The fact that they can store flat is a godsend, perfect for travelling or eliminating the dreaded tangle of wire and plastic hangers when tackling the ironing pile. 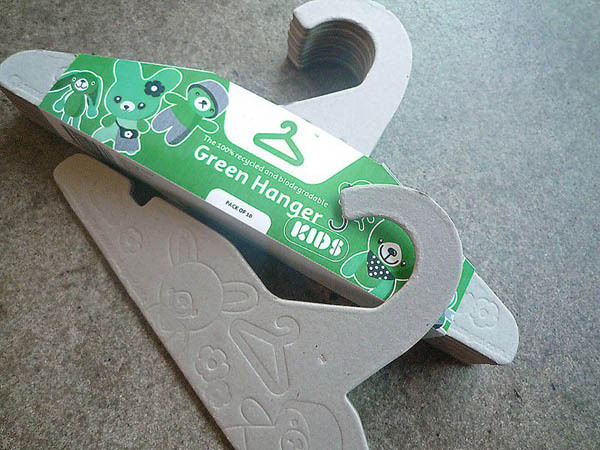 A pack of ten kiddy cardboard hangers will set you back $5.95 from Green Hanger.